You could make your own Christmas cards or presents. Candles and soaps maybe? Or buying plain photo frames and jazzing them up with typical craft products such as buttons and bows, or covering them in a pretty wallpaper can look really nice. (See example here) Utilise your talents, but bear in mind your family and friends interests! Everyone I know really appreciates the effort you've gone to when you've handmade something, and you can really make it personal. I don't mean to sound cheap here at all, but this came to me on a brainwave when I decided to write this post. I noticed that whenever I order the Liz Earle Skin Essentials set, they always send me at least one or two freebies. If you purchase some clear cellophane wrap (there are lots on ebay) and some nice ribbon, I think you could make some really nice gift sets. Likewise, when make up is on 3-for-2 or Buy One Get One Free, bear in mind what your family and friends might like. I know a lot of people have that mad panic the week before Christmas because they've left it all last minute, but organisation really is the key to making your money go further. Not only do you avoid the mad panic where you just shove random things in your basket at your nearest Shopping Centre, rather than actually thinking hard about what your family/friends would like, you also get to share the cost across several pay days. Also, I know several people who do their Christmas Shopping in the January sales. This wouldn't work for me at all - purely because I would hate storing the gifts for so long, but also I HATE shopping in sales. But it can save you a lot of money. Credit for this idea definitely has to go to my Mum, because this is something she has often done. If you are buying for a family with three children, the cost of buying a gift for each of them separately can add up. Instead, why don't you buy a board game for them to share. Argos are currently doing 2 for £20 on selected board games. They're great for taking to other people's houses over the Christmas period, and it's always funny watching your Mum playing Twister, or the family arguments over a quiz game! This obviously depends on your age and other commitments you may have, but it is an option if you are looking for some extra cash over the Christmas period. Especially if you are away at uni and can't commit to a proper part time job at home. Most shops look for extra hands over the Christmas period, and you are often asked to do overtime. If it is an option to you, they may ask for you to stay on after Christmas as well, which is an added bonus. 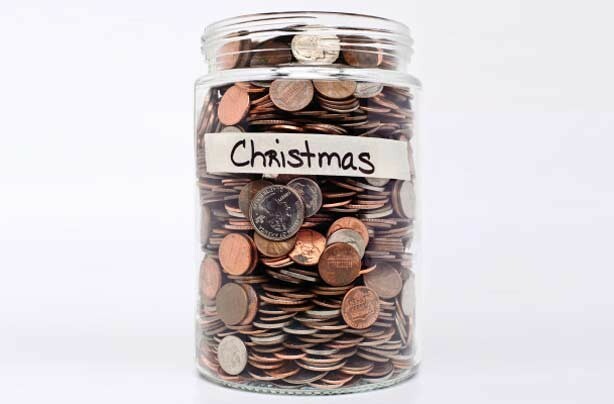 I hope you find these tips useful - how do you make your money go further over the Christmas period? 100 Bloglovin Followers: Thank you!